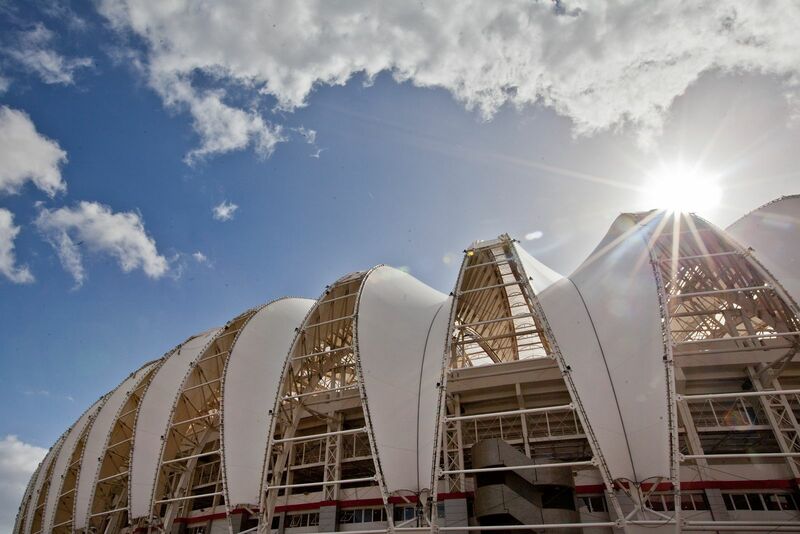 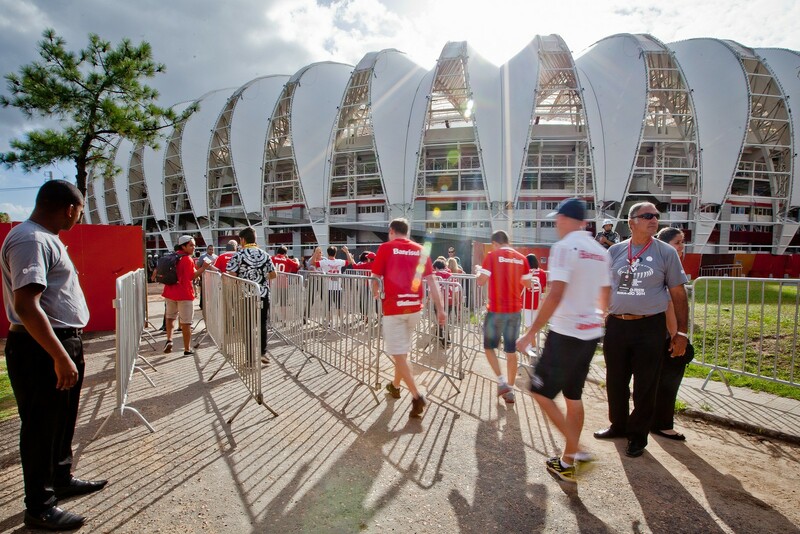 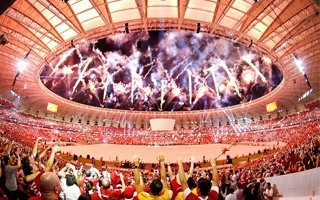 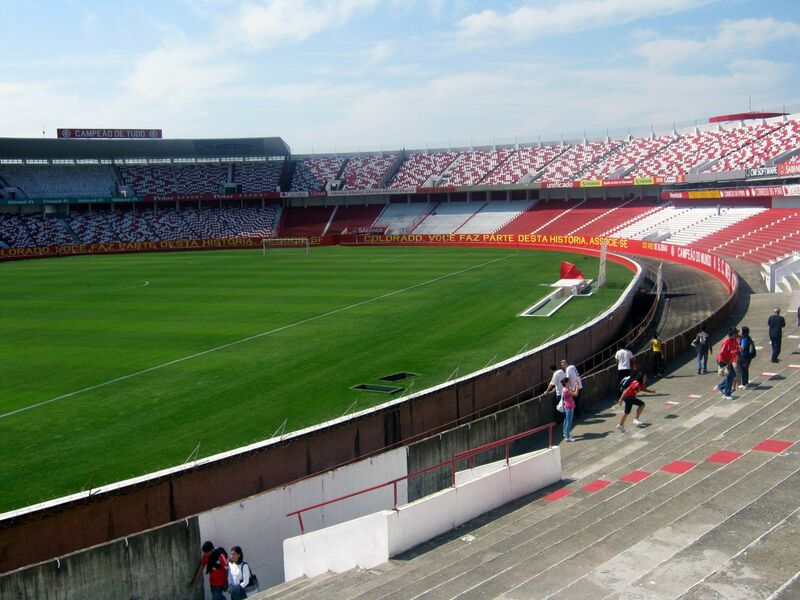 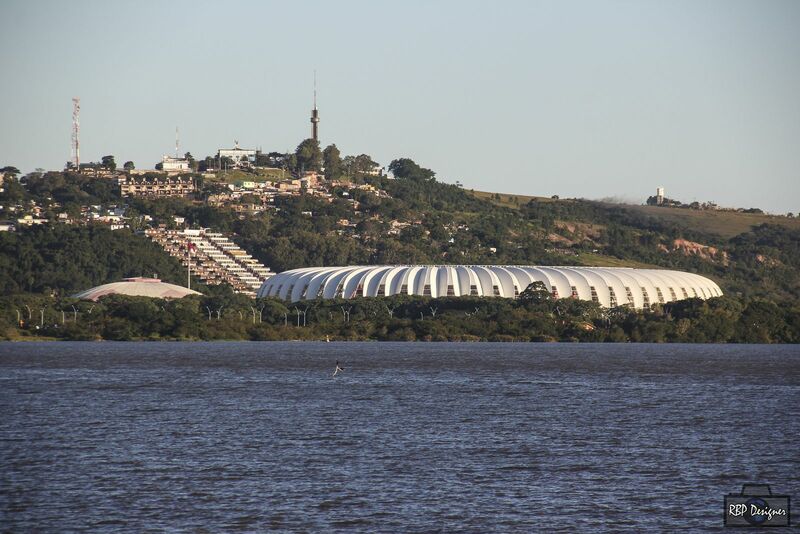 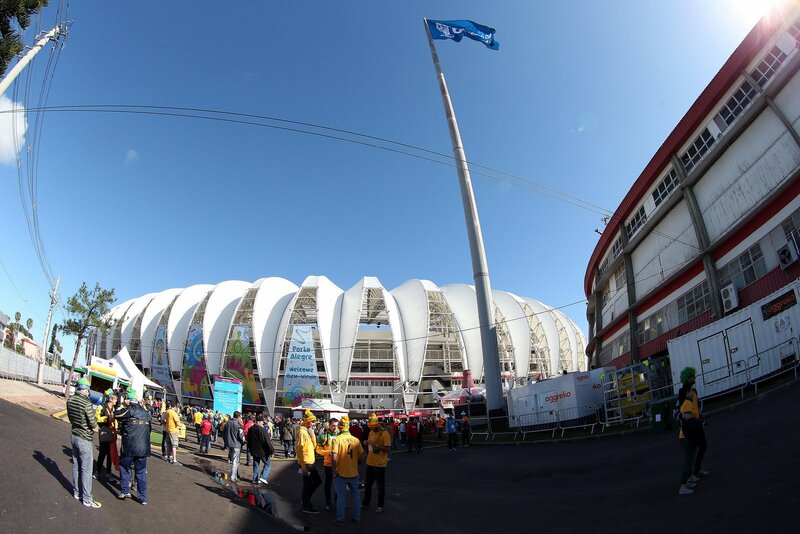 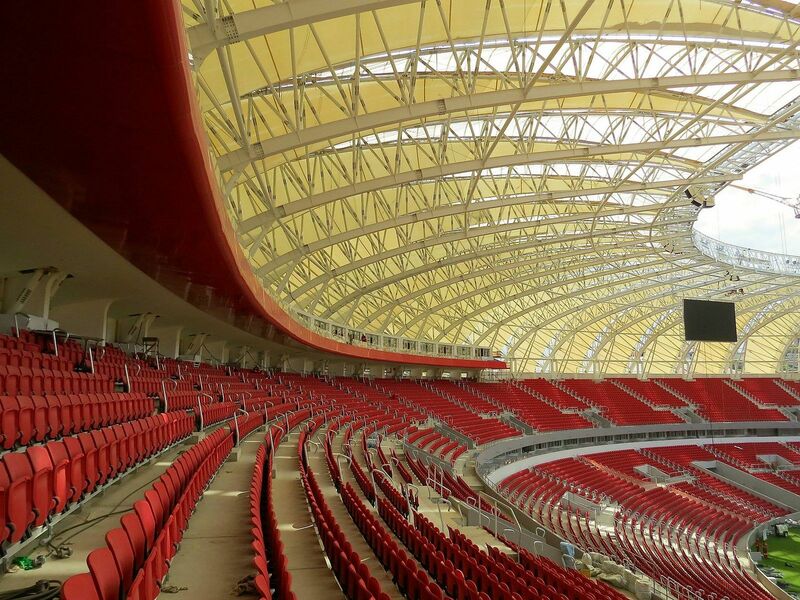 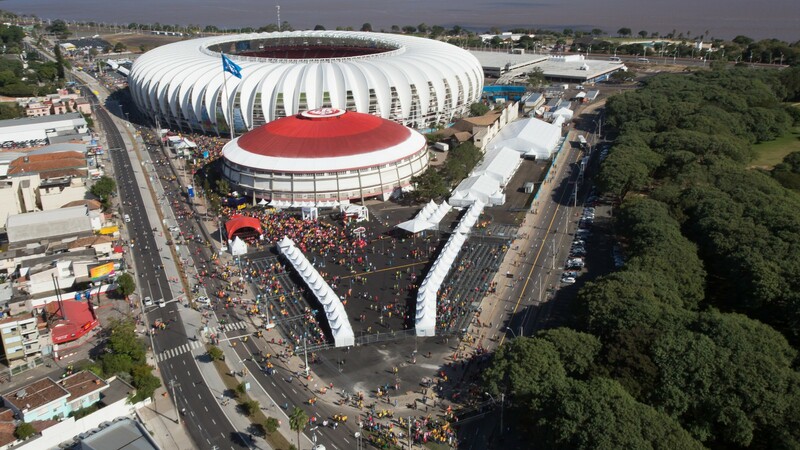 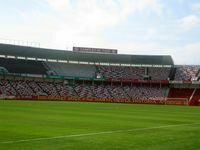 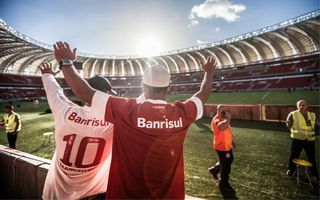 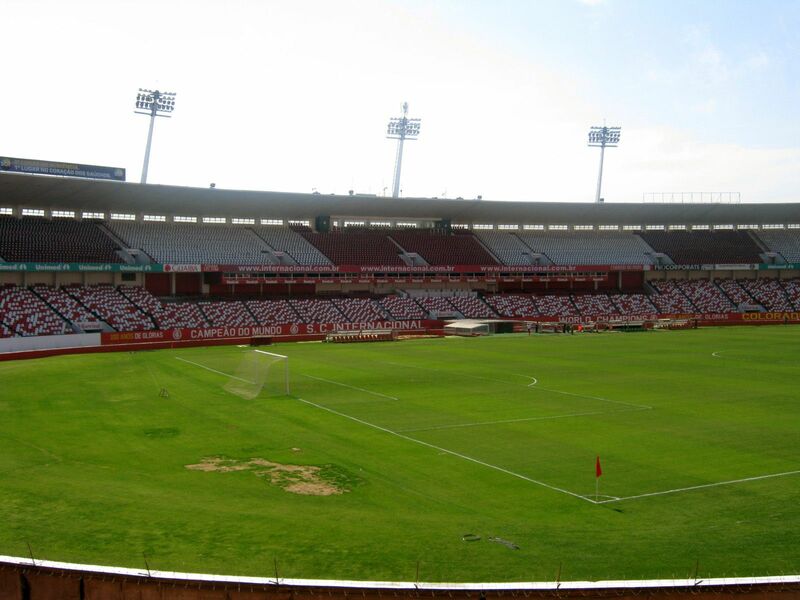 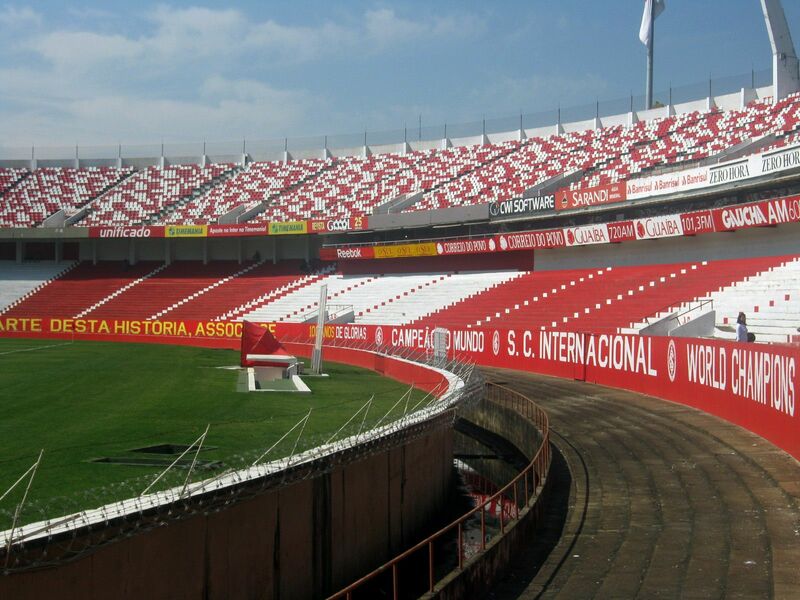 In December 2010 the re development of dated Estadio Beira-Rio began. 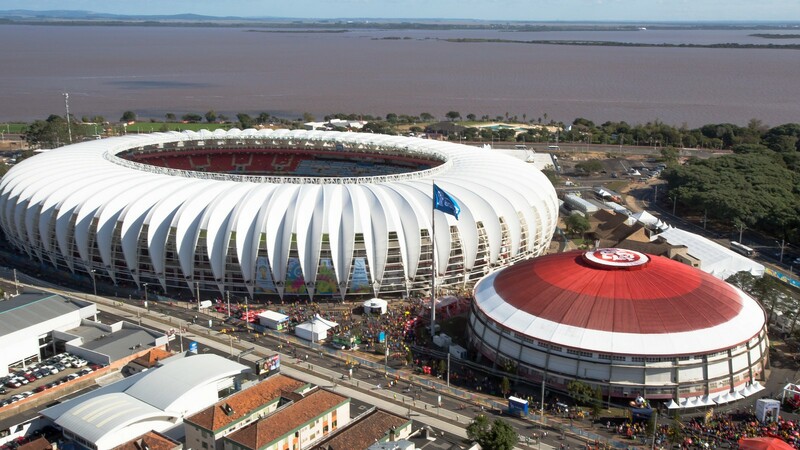 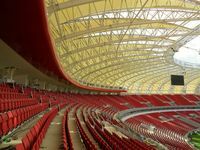 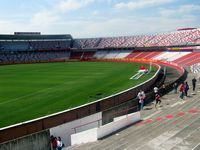 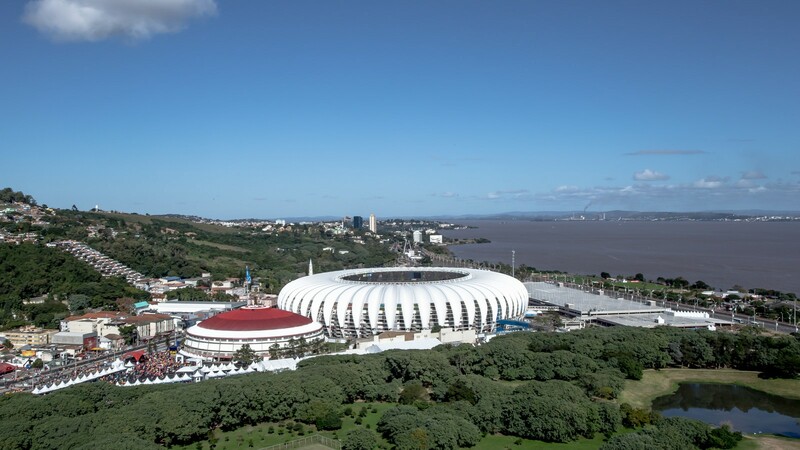 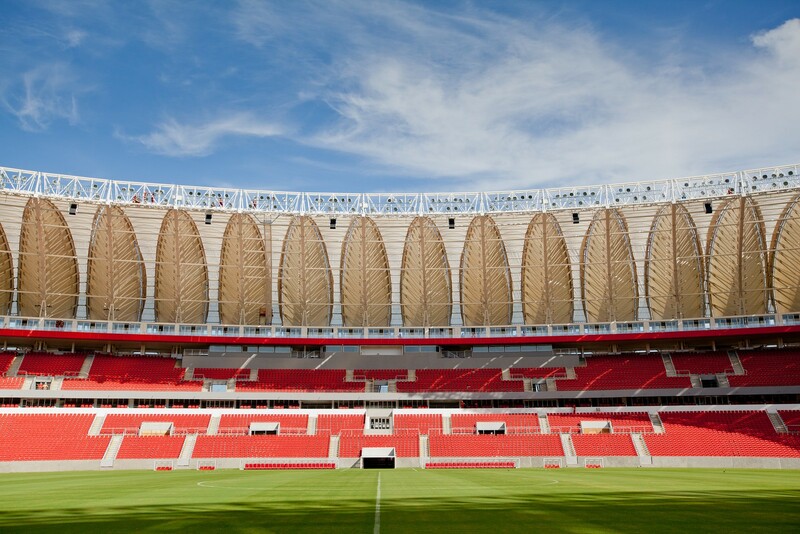 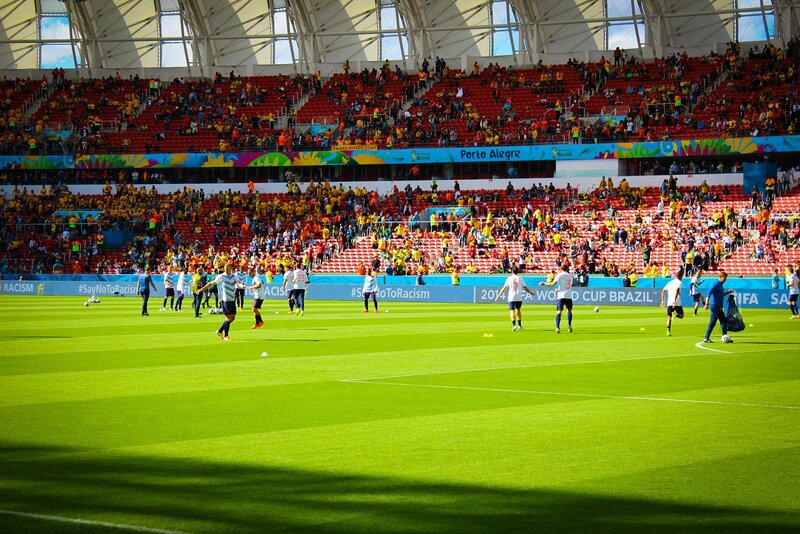 The southernmost stadium of 2014 World Cup was first opened in 1969 and required significant revamp to meet modern expectations. 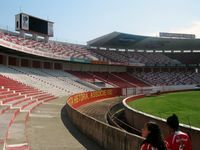 Redesigned by Hype Studio, the stadium earned a new low tier of seating, bringing fans a lot closer to the action. 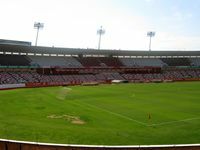 Skyboxes were created between both tiers and atop the entire stadium. 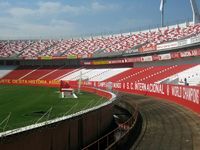 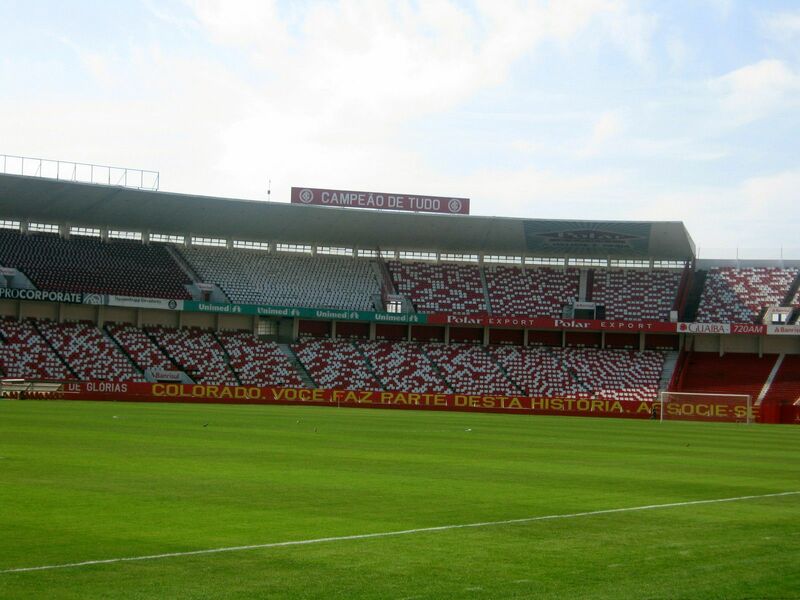 New external staircases were created to provide sufficient access for fans. 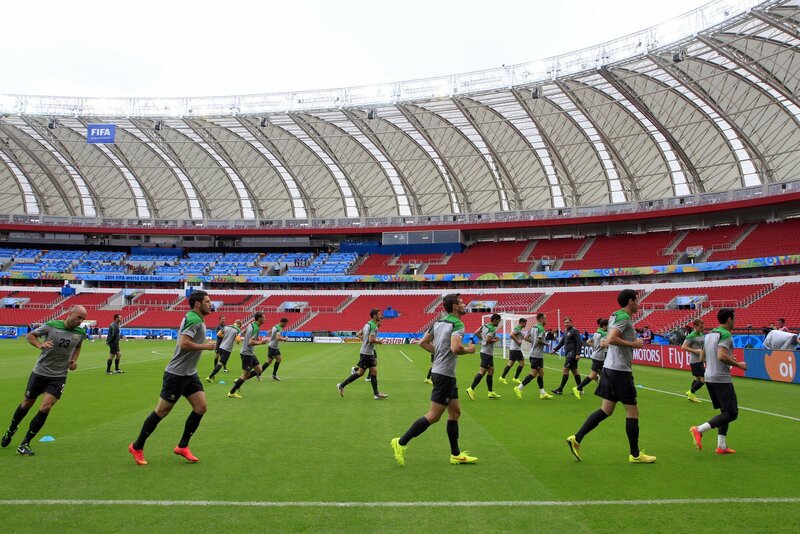 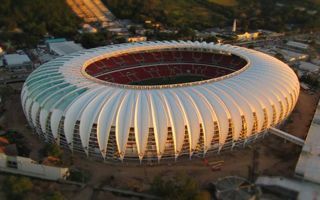 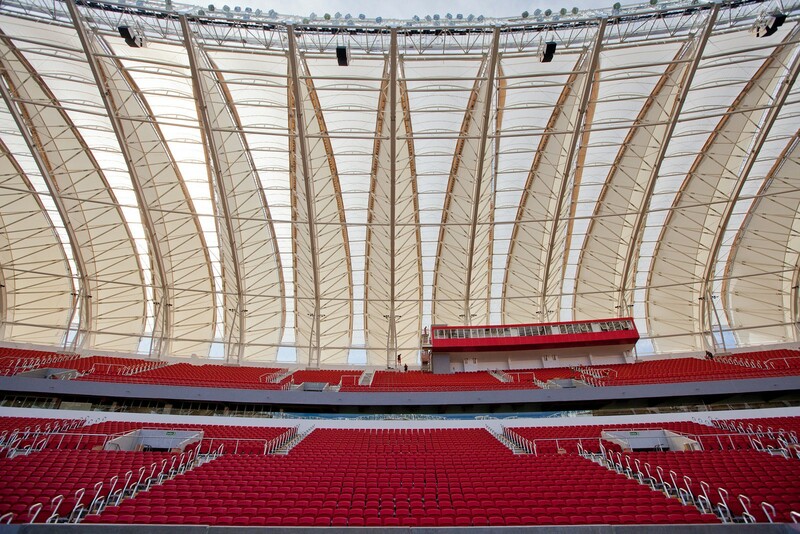 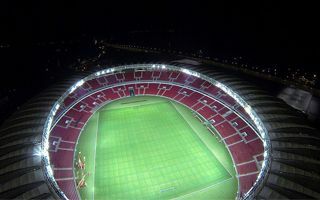 The entire stadium was covered by a unique domed roof made of 65 individual leaf-shaped segments. 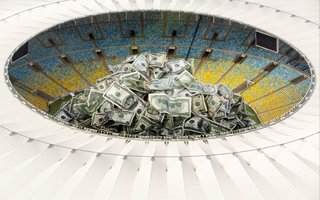 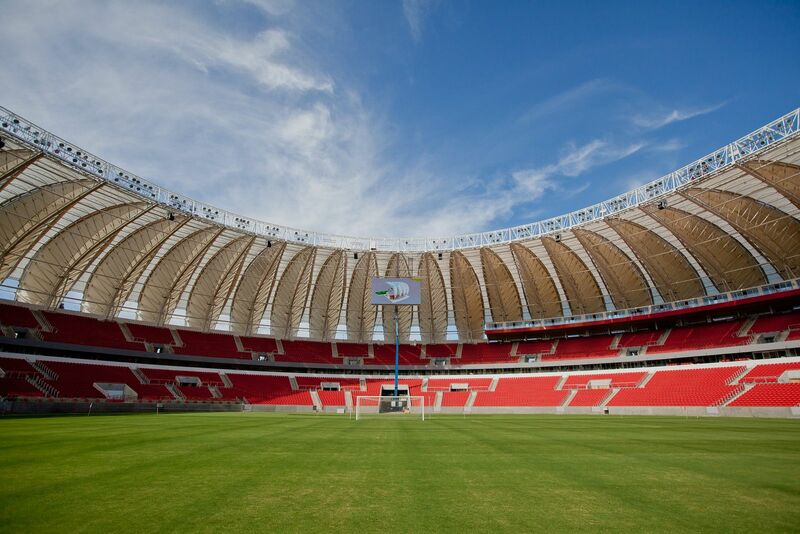 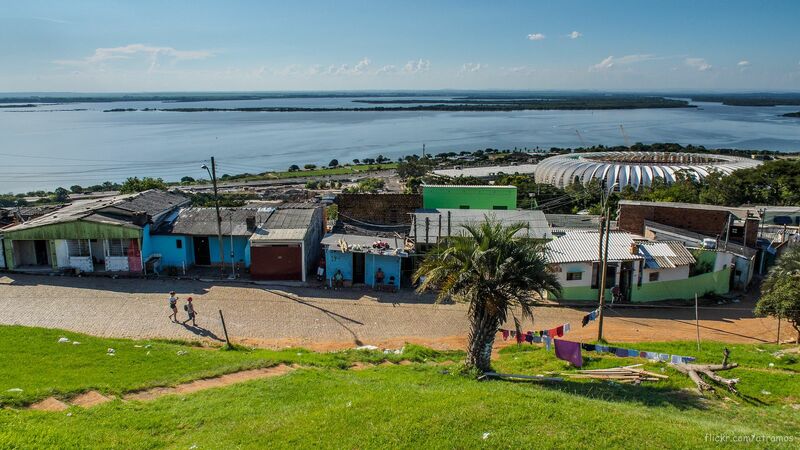 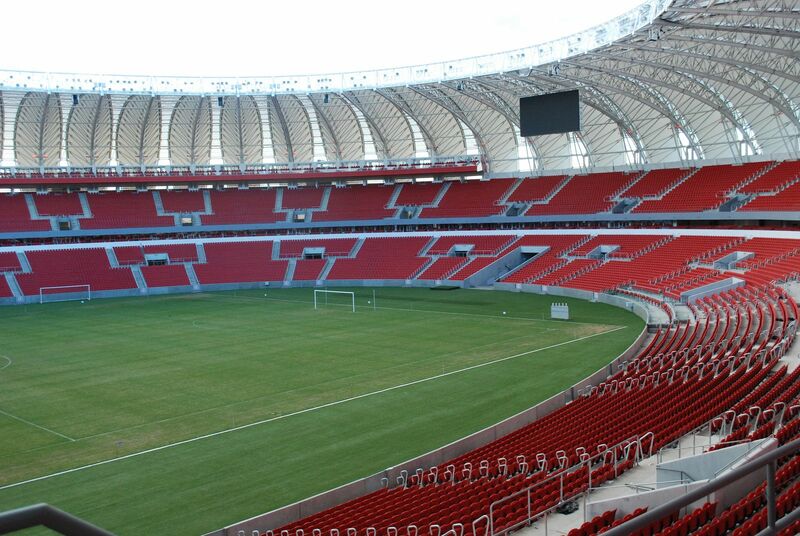 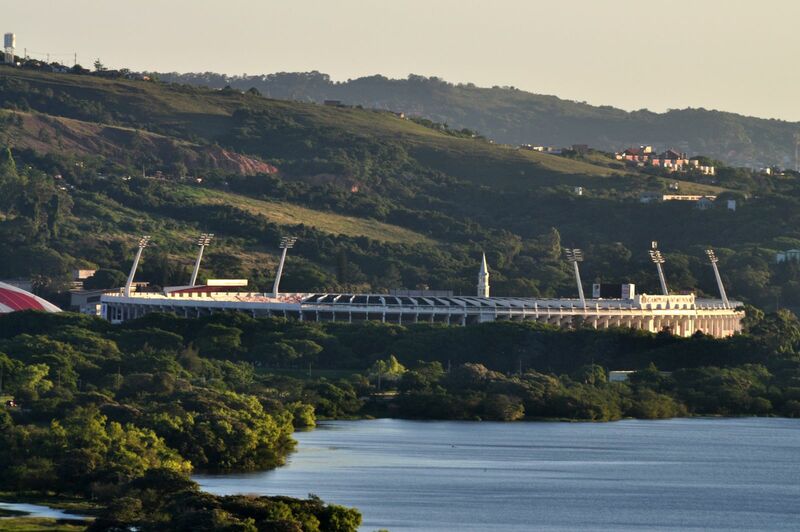 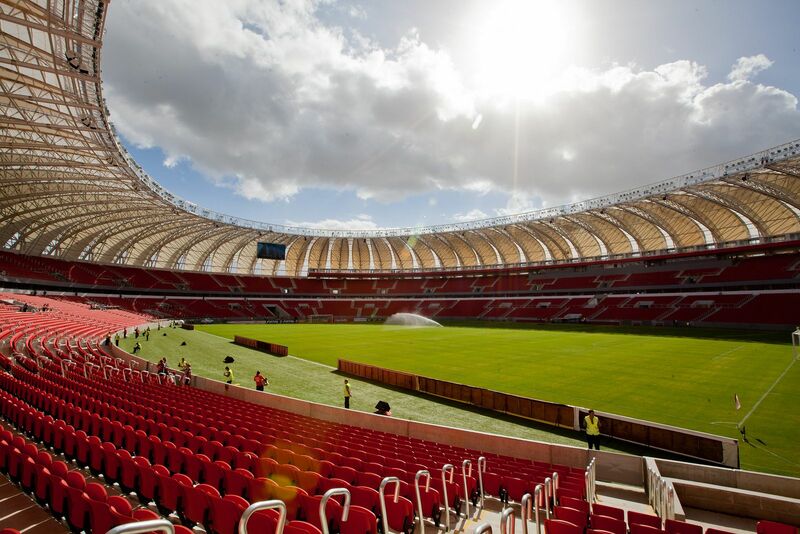 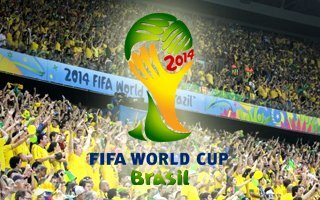 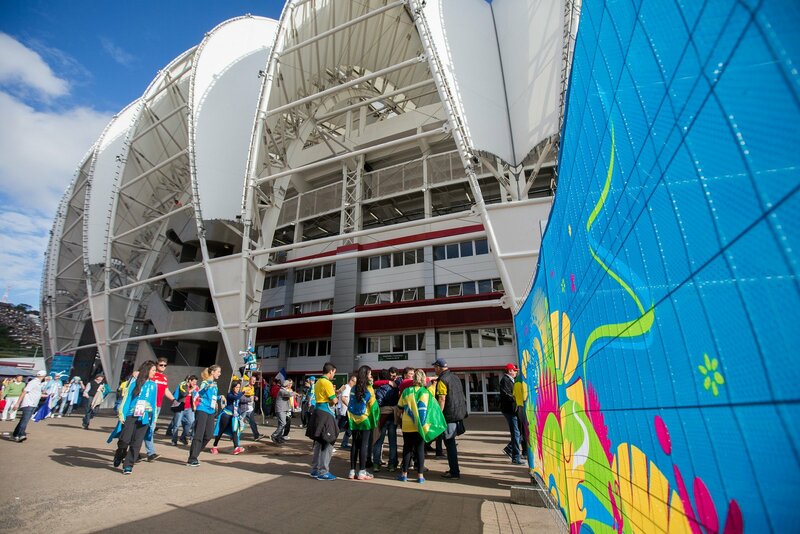 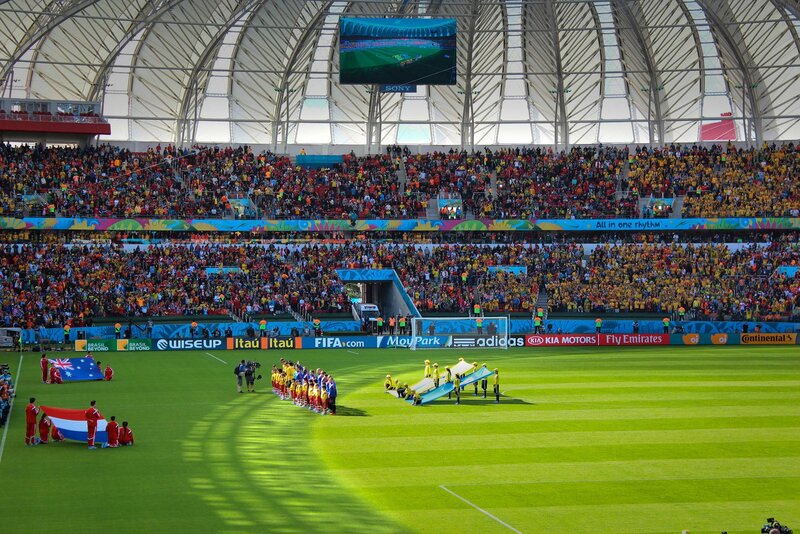 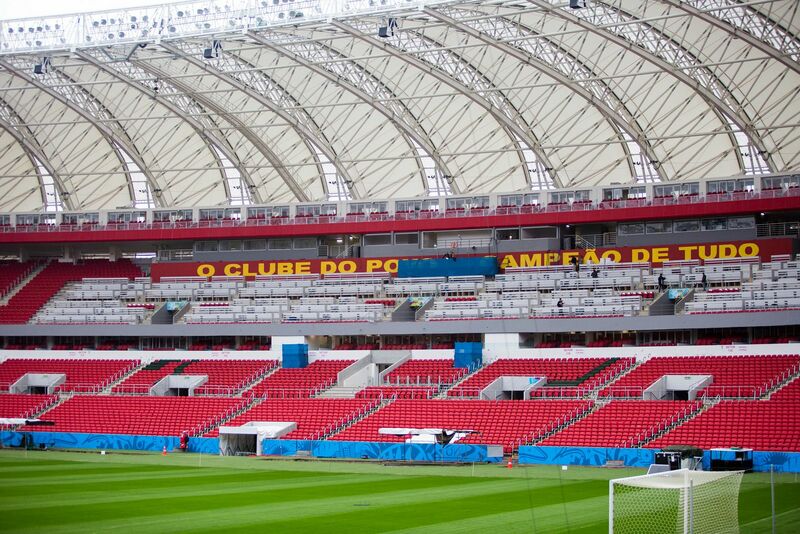 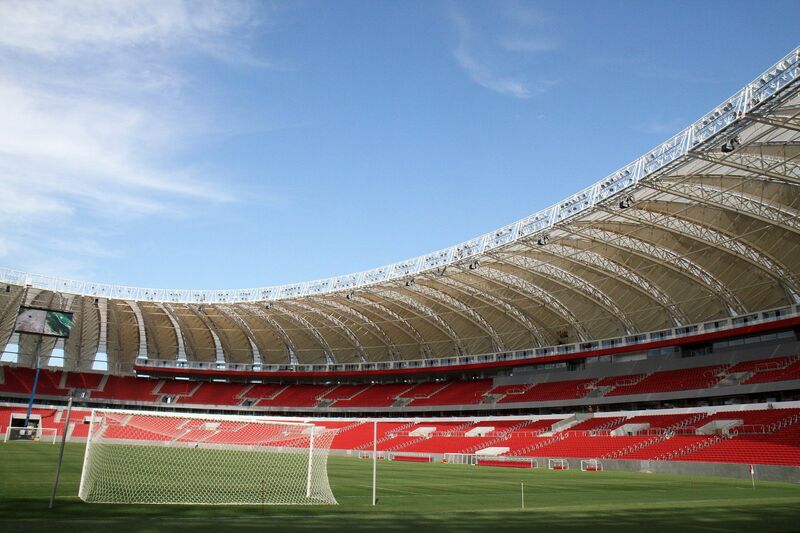 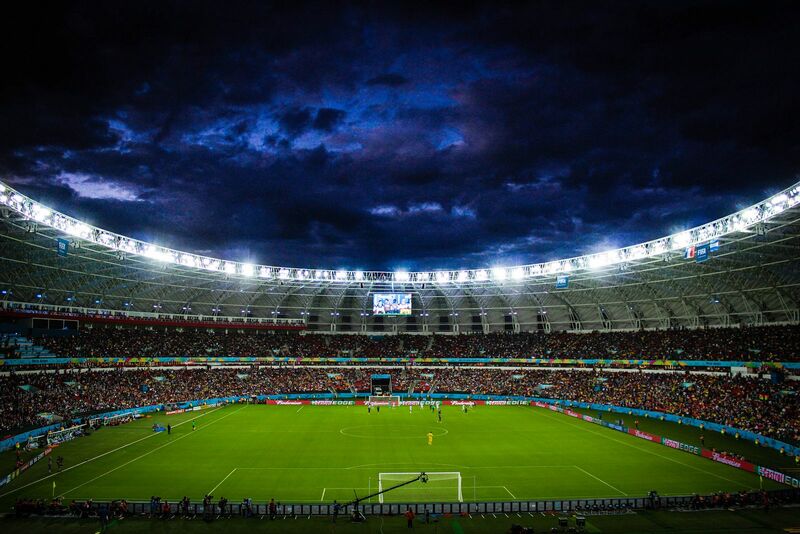 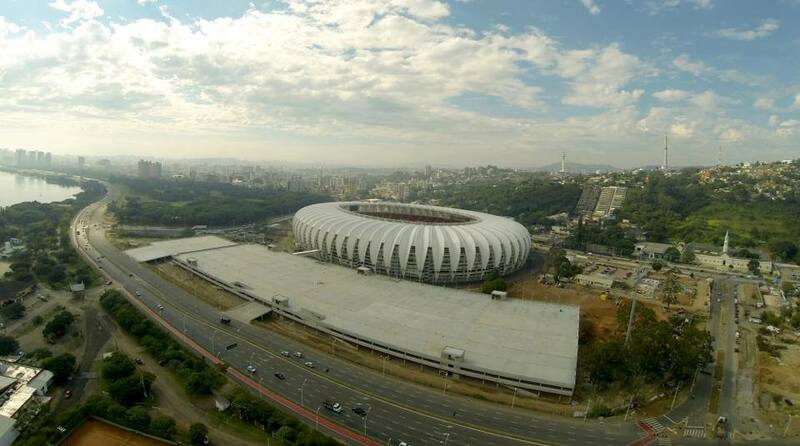 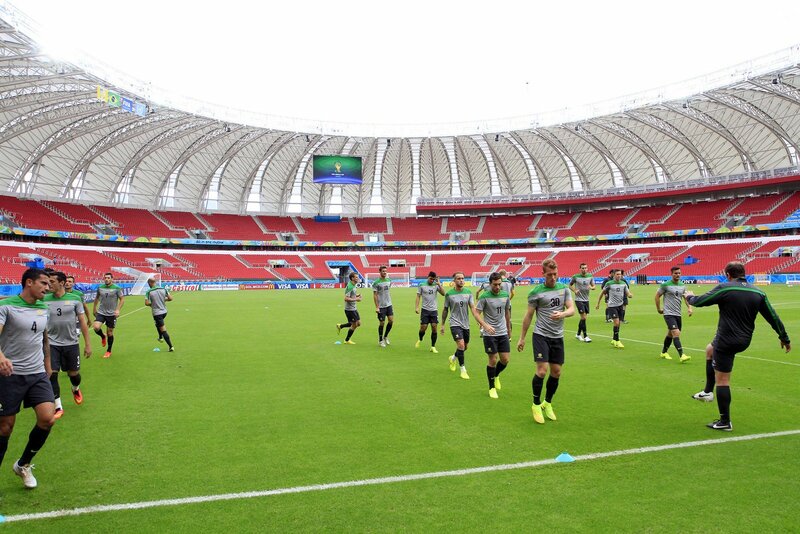 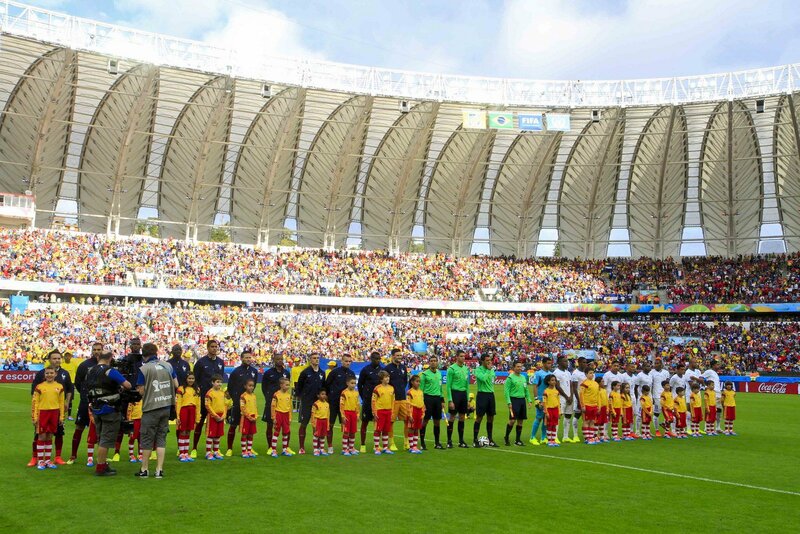 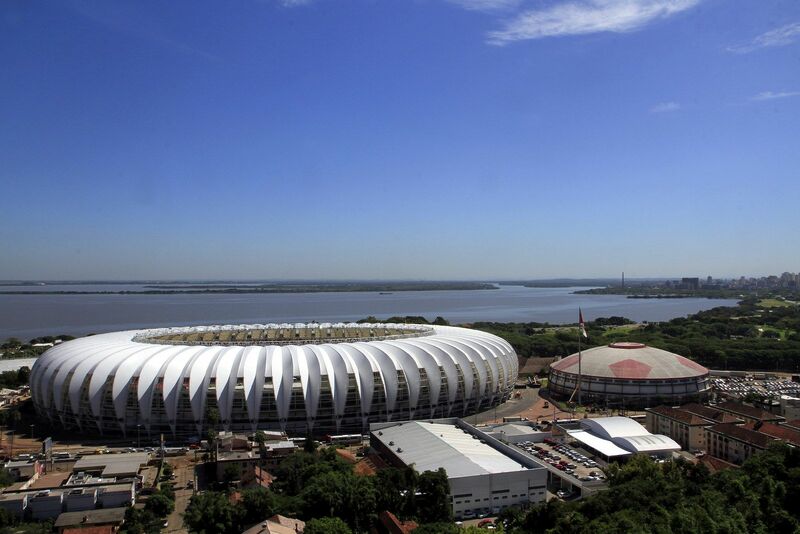 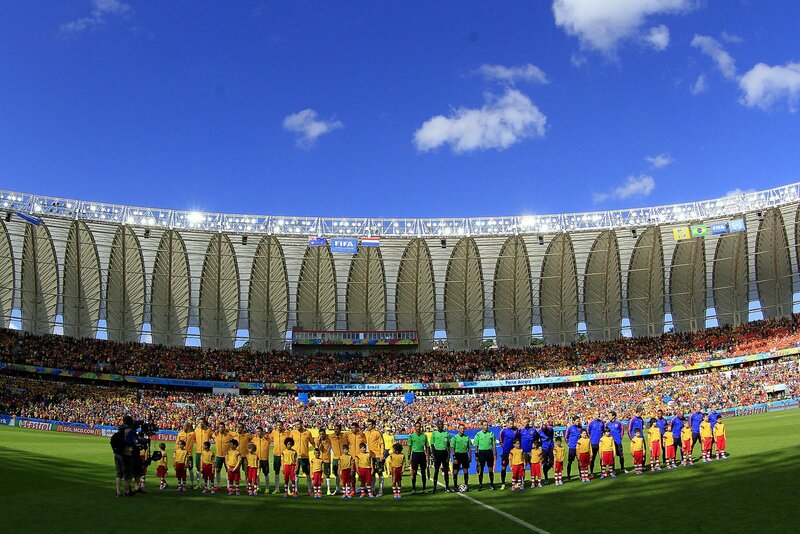 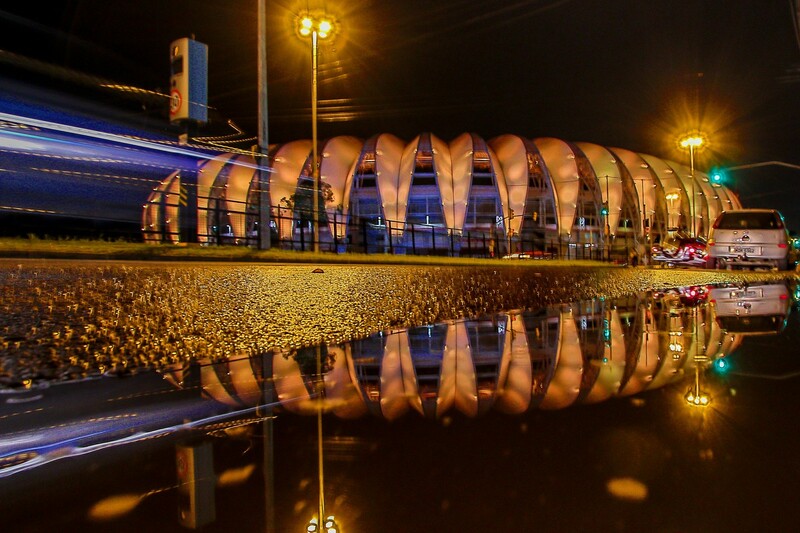 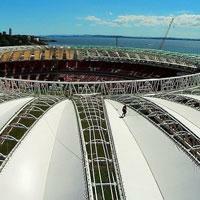 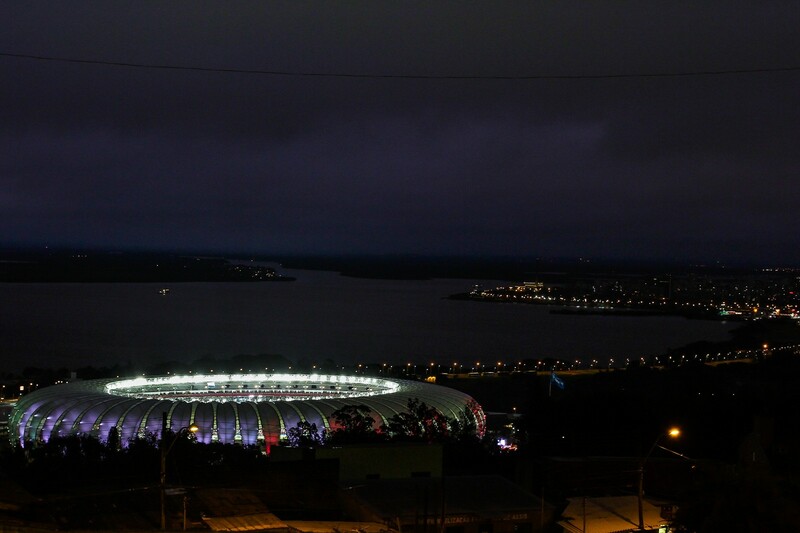 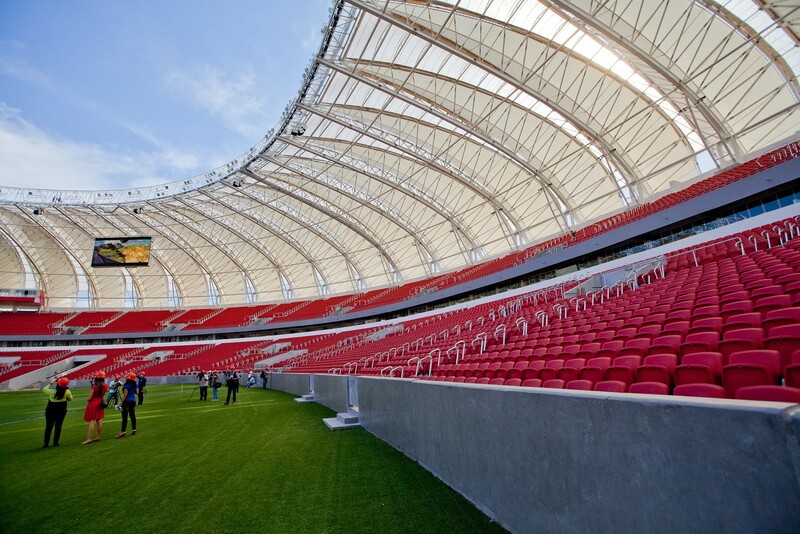 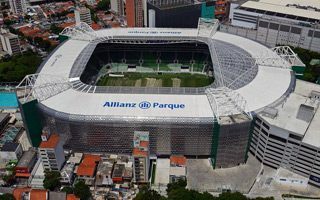 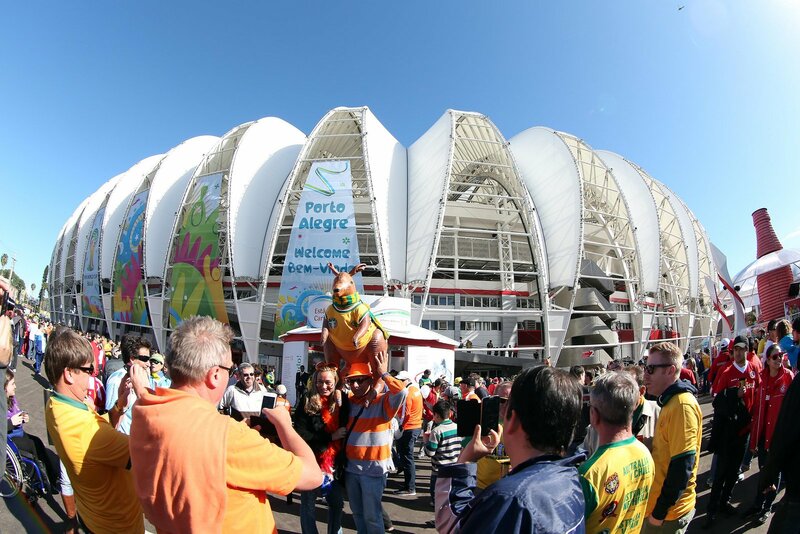 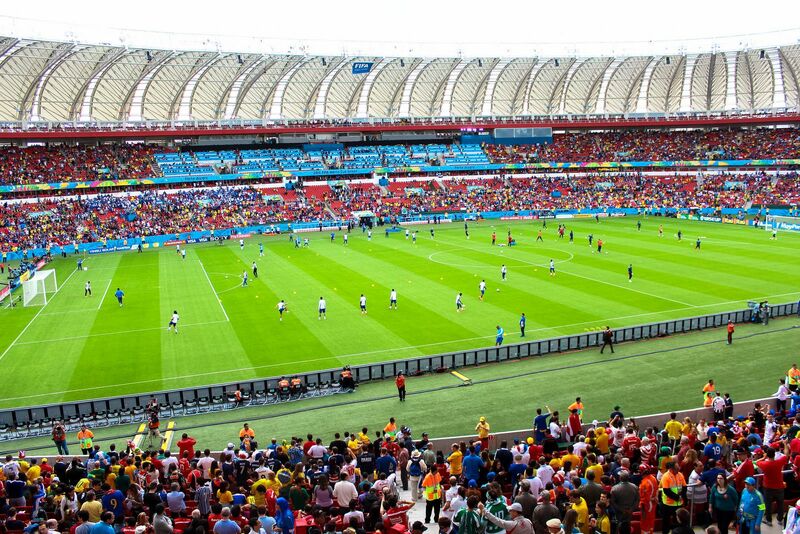 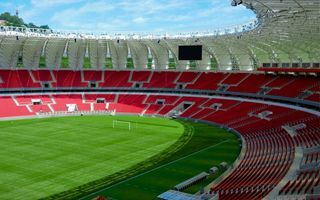 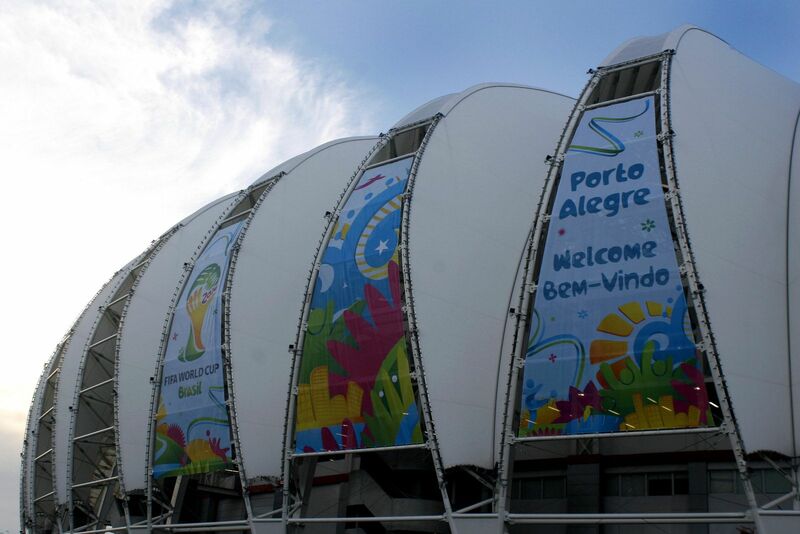 Works consumed R$ 330 million and ended in February 2014, only 4 months ahead of the World Cup. 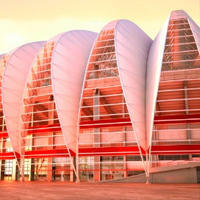 Major delays were caused by lack of financial model and halted cooperation with general contractor. 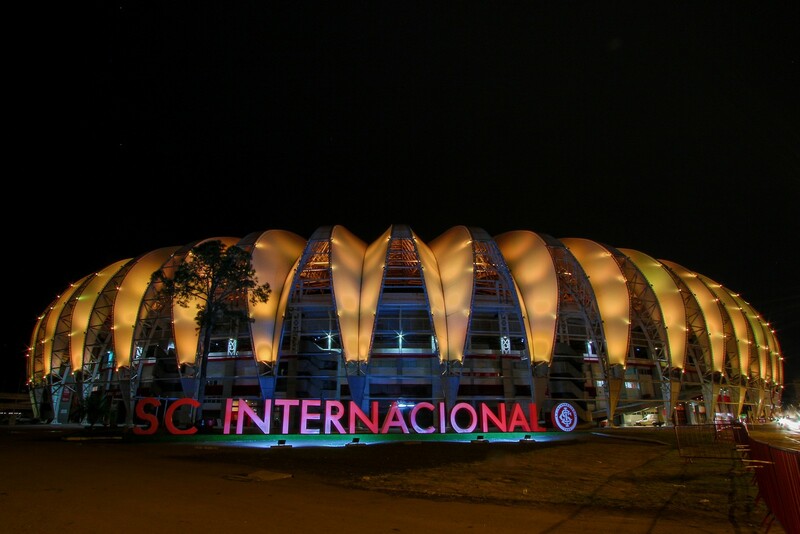 The project was financed mostly privately by Internacional. 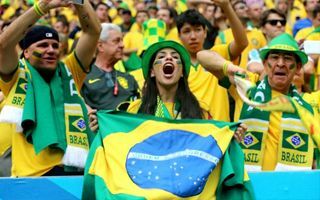 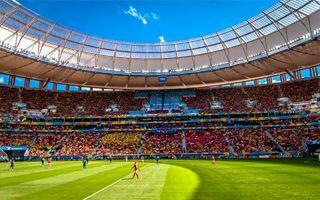 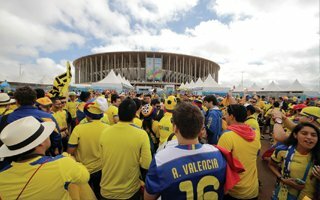 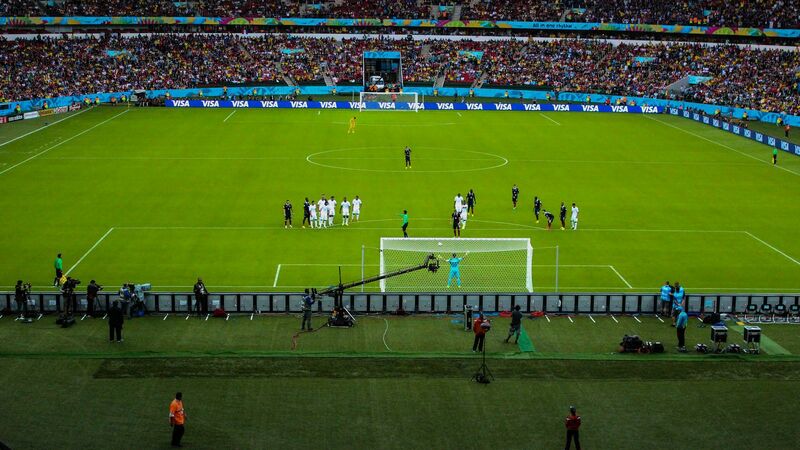 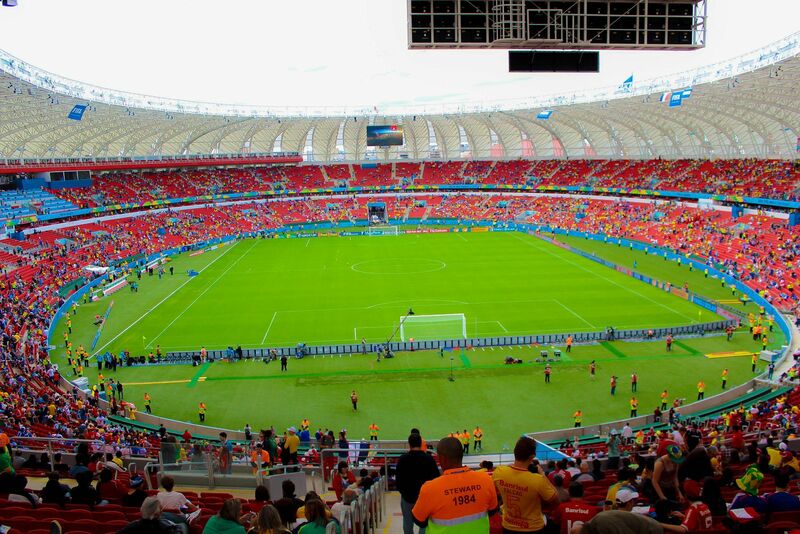 During the World Cup capacity went down to just 48,849 seats, but eventual size may reach 60,000 people.